Outrageous A/C Bill This Summer? We Can Help. 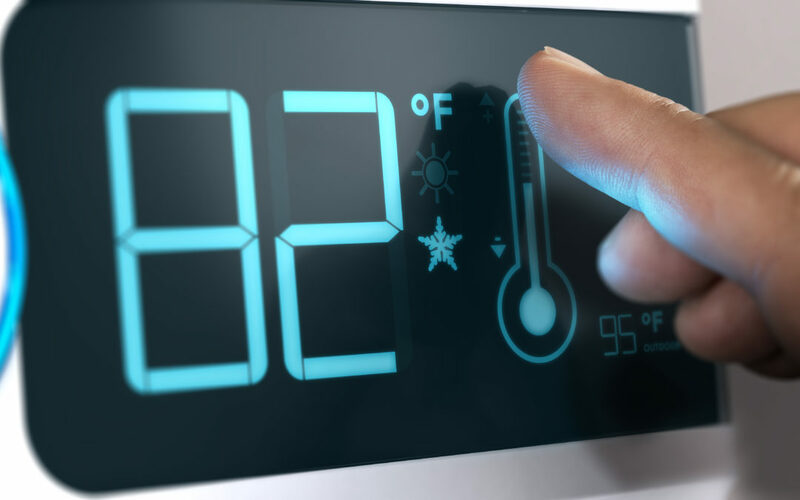 If you’ve even begun to think about automating your home, a thermostat was probably the first thing you came across. It’s simple, effective and a great first step to ease into a smart home. This article will line out the reasons it is a good place to start, as well as some of the benefits you’re missing out on while you’re on the fence! The problem with a standard thermostat is that it has to work too hard to get where you need it to be. You wake up, get ready for work, actually remember to turn the air up before you leave and then get home to an uncomfortably warm house. If you’re like most people, you crank the temperature down further than you even want it, just to cool down “faster”. You should know though, this doesn’t make it work any faster, only longer, and in turn, costs you more money. An automatic thermostat not only allows you to schedule temperatures for throughout the day, (coming home to an already cooled house…so convenient) but depending on the model you choose, it will likely learn your trends and habits when it comes to minor adjustments made throughout the week and help keep your program/schedule energy efficient. As the weather (hopefully) continues to get cooler here in Texas, we tend to want to open our windows and let the fresh, cool air seep inside. Do you remember to turn off the air conditioning whenever you do this? An additional smart home tool can come into play here: sensors. There are all kinds of sensors that can help with your thermostat automation, but ultimately it depends on what habits you currently do or do not have in place. One that we’ve found especially convenient is one that programs your thermostat to turn off when a window or door is left open for a certain amount of time. This prevents cool air (that you’re paying for!) from being blown outside, saving you money and improving your home’s energy efficiency. With an automated thermostat, you can avoid being unprepared for the inevitable unexpected scenario. The downside to a scheduled thermostat is that schedules change every day. Well, it’s a good thing you can control all of it from your phone. Start feeling under the weather at work? Heading to a meeting that’s actually not until next week? Anytime you’re going to be home when you thought you’d be out, or vice versa, make those adjustments as soon as you need to from your smartphone. Still on the fence? Each of these perks listed above not only provides you with the ultimate level of convenience but also saves you money! If you’re looking to make the switch, give us a call today. 713-780-4601.